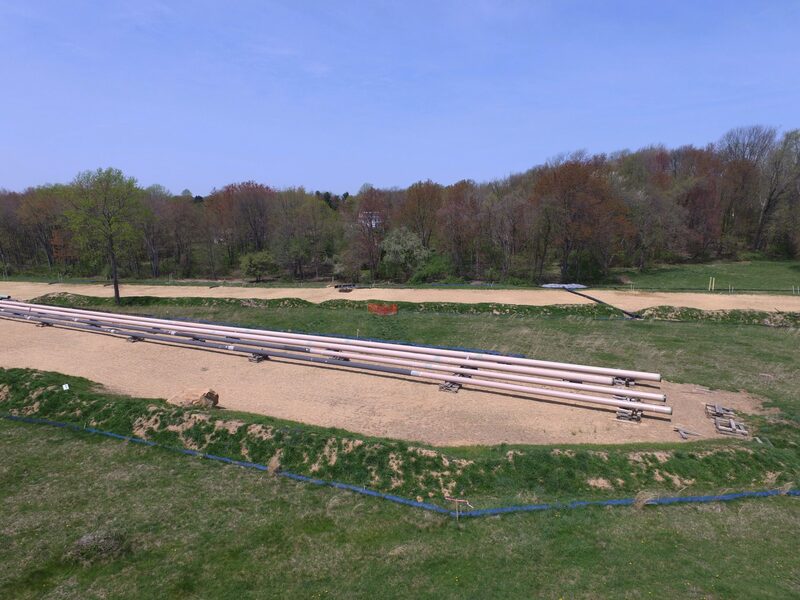 Mariner East 2 pipeline construction in Delaware County. The project spans multiple counties, including neighboring Chester and Berks. Sunoco will pay $200,000 and undergo more frequent safety inspections of its Mariner East 1 pipeline project under an agreementwith state Public Utility Commission investigators. The deal, which must be approved by the full PUC, came together this week just a couple days after the company settled a class-action lawsuit over negligence during construction that led to a sinkhole in a Chester County suburb, StateImpact Pennsylvania reports. Grant Township, pop. 700, has to pay Pennsylvania General Energy Company’s legal bills incurred during a dispute over the company’s injection well planned for the Indiana County municipality, where local leaders attempted to invoke home rule to block the project. Jon Hurdle breaks down the opinion in this post. Pennsylvania plans to spend $8 million to clean up toxic chemical contamination in Bucks County communities’ water supplies stemming from a nearby military base — but some activists say it’s not enough, Catalina Jaramillo reports. Council at-large candidate Vinny Black stands and responds to a question at a candidates’ forum. Twenty candidates for city council attended the forum at Congregation Rodeph Shalom on March 24, 2019. 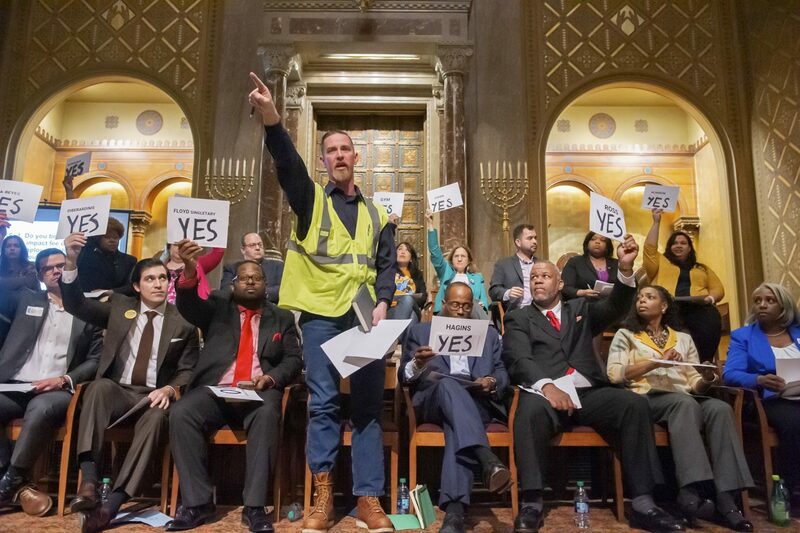 No fewer than 30 candidates are vying for five Democratic nomination slots on Philadelphia City Council, Dave Davies writes in his latest “Off Mic” piece for WHYY. A judge has thrown out the independent truckers’ lawsuit over turnpike toll hikes, according to this Associated Press story. Pennsylvania’s making some potentially stabilizing changes to tuition policies at state universities, such as setting tuition two years at a time and giving students more advance notice of increases. The Associated Press has details in this report.